From product selection and installation to making our final payment, working with Derek Bosteter and his crew was a great experience. 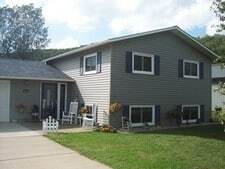 Making the siding and trim color selections was very difficult for us and Derek Bosteter had the experience necessary to be very helpful in this area. Derek and his crew were very professional. The job began on time, as scheduled, and the work was completed on time, actually a bit ahead of schedule. 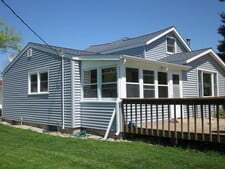 No only did the Bosteter crew do an excellent job installing our siding, they actually made several minor repairs to the outside of our home and installed all new lighting fixtures for us. We wholeheartedly recommend Bosteter Windows & Siding. We were very pleased with the entire process from start to finish. Derek was straight forward with his thoughts, but listened to all of our questions and concerns. He provided guidance and education on products and service. I always felt like "the customer" as he and his entire crew were respectful, professional, and appreciative of my home and family. I'm pleased to refer him to any friends and family. The work has transformed our house. High quality, efficient, professional, honesty, value, and thorough are all words I would use to describe the job. Thank you! We had Bosteter Windows & Siding replace the windows in our house. Derek and his crew did an outstanding job. The job was completed on time and they were very professional. In fact, if it wouldn't have been for the footprints out in the snow, I wouldn't have ever known they were there. We are very happy and will use them again in the future. From the moment I first spoke to you, I felt like you were a straight shooter. Your introduction to the products you sell, was very frank and not high pressure. You were always professional in your dress, manner, and speech - and so were your fellow workers. You were in and out in one day and left not a trace - except that we have nice new windows. It was a pleasure doing business with you. We are so very pleased with the way our old two story home turned out. The siding has exceeded our expectations. Thanks to Derek & Tammy first of all, as they spent a lot of time with us trying to pick out colors, trim, etc. Derek and his whole crew are to be commended for a job very well done, and in a timely manner. Everyone was very professional and very helpful. We enjoyed having them here. I found Derek very professional. He answered all my questions about what he was doing, or gonna do. My three dinning room windows were so cold. Just standing by them, you could feel the cold air. No more! Derek insulated every window. Job well done! In fact, I had Derek do every window in my house! We were thrilled at how much time and effort they put into siding our house. I know it was quite a challenge since our house is very old. They also worked through the hottest part of the summer just to get it done on time. Very professional and very pleased! Derek and his team are very professional and were on site when they said they would be. The projects were finished on time and in a professional, clean, and organized manner. Derek did a great job of communicating with both me and my husband from the time we met with him to discuss the project, until the project was completed. Even months after the project had been completed, Derek attended to our questions in a timely manner. I would highly recommend Derek and his team to anyone needing windows or siding. Very happy with the job done. After the old siding was removed, they fixed all the damaged areas. Very happy with cleaning up the area when they were done with the job. They were very detailed. Will recommend them to others. The work done on our house was done very well. We have received many compliments from many people. (passer-bys, friends, family, etc.) The workmanship was extremely thorough and professional. In fact, it went way above and beyond my expectations. The crew was very friendly, courteous, and helpful. I especially appreciated the excellent clean-up after everyday and at the end of the job. You are certainly at the top of my list for any future jobs and will recommend you to anyone who asks. Derek and his crew were fantastic! They were on time and finished the job completely, including cleaning up after they were done each day. Derek was great at explaining the differences in the windows and returned my phone calls promptly. We will be using them again in the future. From the first informational meeting to the project completion, Derek was very professional, knowledgeable, and respectful. The work on my house included siding as well as window and door replacements. The attention to detail on all of these was impressive. Derek and his crew were careful to always keep my property clean. The work was completed ahead of schedule and I am completely satisfied with the precision that was used in all aspects of the work. I highly recommend Derek for any home improvement work. 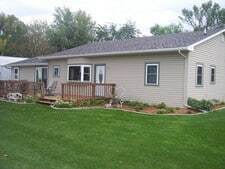 Bosteter Windows & Siding, Inc. installed four new windows, siding, and soffit and fascia on our home. The workmanship was excellent. The project was completed on time with no hidden costs. A couple of weeks after the job was completed, we had the mis-fortune of having hail damage to the window trim. Derek and his crew promptly came back and replaced the damaged window trim. I would recommend Derek and his crew of professional contractors to do your next project. Derek and his crew were wonderful to work with. We were very impressed with his quality workmanship and attention to every detail. Professional in every aspect of the job and we couldn't be happier with the results. 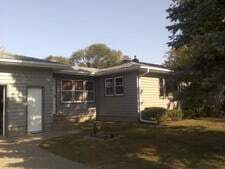 We would highly recommend Derek to anyone wanting quality siding contractors!" "Thanks so much, Derek! 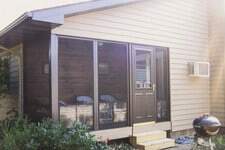 We had Bosteter Windows & Siding, Inc. replace an old french door with a new sliding glass door. Derek responded very quickly to my call, informed me thoroughly on the product and arranged for an installation date on the spot. He and his employee, Tim, did a great job with installation! There was no interruption in my day and they did a great job with keeping my home dust free and did an exceptional job with clean up! 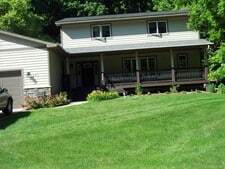 I would have Bosteter Windows & Siding, Inc. do future work on our home without hesitation. I can't say how pleased enough times we are with our new windows and the expert job you did on the installation. From the personal contacts to the clean up, everything was done in a thorough and professional manner. My mother was really amazed by the meticulous job you took on rearranging the drapes, etc. She referred to you guys as perfect gentlemen. Again, thank you for providing a quality product, outstanding service and superior customer service. Enjoy the autumn! I want to compliment you and your crew on the job that you did at my house. You explained what you would do when you presented your product to me, and that is exactly what you did. My house looks wonderful. I could not be more satisfied with the final product. You and your crew were professional, friendly, and willing during the time you worked here. They were on time, worked diligently and were even friendly to my dog. What more could I have asked for. Thank you so much for the excellent job and know that I will not hesitate to recommend you to others. As a professional corporate trainer of customer service skills, I can say with certainty that our experience with Bosteter was exceptional in every phase - from understanding our needs, to recommendations of products and troubleshooting and installation. Our follow-up adjustments were handled with speed and goodwill. It is rare to experience such a high degree of satisfaction from the owner right to the total crew. I would recommend this company without any reservations. The owner and his crew are honest, thorough, detail oriented, and timely. They are great to work with and will always go the extra mile. We have hired them repeatedly for different projects and will continue to do so in the future. This is a 5 star company! Derek and his crew did a great job on our house. The job was done well and on time. I especially appreciate their attention to detail. I had many neighbors come to our home after the work was completed, and tell me how great it now looks. Besides the craftsmanship, Derek was very friendly and “owns” his jobs. Derek and his crew were extremely courteous and professional. We were very impressed with their attention to detail and how clean the work area was kept. They went above and beyond our expectations, greatly improving the look of our old house! Derek was on site each day, and we know he took personal pride in his work. We would highly recommend Bosteters! The job that Derek and his crew did was beyond what we expected. We are so very very pleased. They were on time, finished in the time they said they would, and always asked us if things were looking good. He went above and beyond. I have and will give a 100% recommendation to this company. Job very well done!!! Job well done!! Derek and his crew took care of everything from the start to the finish. We didn't have to do anything. Did the best clean up job I ever seen, and I would know, I'm a professional cleaner. Derek and his team did an awesome job on our siding. We couldn't be happier with it. Derek is very knowledgeable on all his products. He came over several times and educated us on his product and answered all questions we had. He was very thorough and honest with us. He exceeded our expectations, even going above and beyond helping us with stuff for our house, besides the siding. With Derek, there are no hidden costs. I would recommend Bosteter Windows & Siding to anyone interested in having the job done thorough, on time, and right! Bosteter Windows & Siding did an awesome job on our house. They were on time and within their quote. Very professional job. We could not be happier with the job they did! We would recommend them to anyone. 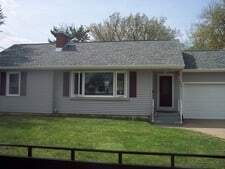 Thanks Bosteter Windows & Siding, Inc.
We highly recommend Bosteter Windows & Siding, Inc. for you next home make-over. Derek's presentation was so impressive that we immediately knew that we wanted him to do our windows and siding. An additional plus for us was that his prices were the best of all our quotes. In fact, we added to the project and had him do the interior of our front porch. Derek and his crew were always on time, highly professional, and did a fantastic job. Any questions we had were answered promptly. We have had many comments on how great our house looks now. Bosteter Windows & Siding, Inc. gets a five-star rating from us. Thanks Derek. I live in a home that was built in 1871. I was a stickler for the older wooden windows. It took my husband years to convince me that vinyl windows, is the way! I was still against it. Finally, after I reluctantly agreed to go ahead with the vinyl windows, I know I would hate….Well Derek and his professional crew installed the windows in about a week and you would have never known that they were in your house. They cleaned up everything!! Needless to say….I love my vinyl windows, and couldn’t be happier! Derek even got my vinyl inside to match my cherry oak 1871 trim inside! Kudos to Derek. I can’t thank you enough. My windows make by house so much more beautiful. My only regret is that I didn’t have them installed earlier. Derek and his entire crew are always very professional and offer tremendous service. 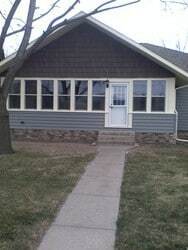 We have had Derek install siding, windows, and a front door. Each time the work was high quality and we were quite pleased with the finished product. Derek offers excellent customer service after installation, which provides wonderful peace of mind. We highly recommend Bosteter Windows & Siding for your next project. We are always pleased with Derek's work. Derek and his crew have always met and surpassed our expectations. 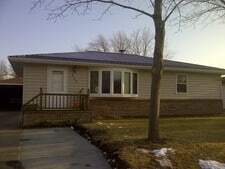 They did our replacement windows a few years ago, and did our siding, soffit and fascia this past year. We have recommended them to many friends and relatives over the years and will continue to do so. Derek and his staff were always punctual and professional. Our house was not any easy house, but Derek’s problem solving skills and creativity yielded beautiful results. His crew did a phenomenal job of clean up on a daily basis. Derek was always present and willing to explain what they were doing. Even after adding some unforeseen tasks to his case load, after starting the job, he finished within the allotted time. He and his staff are perfectionists when it comes to detail. I would highly recommend Derek and his staff for any job. Our experience with Bosteter Windows & Siding, Inc., was excellent. Derek and his crew were prompt, professional, and friendly. The workmanship that we received was outstanding. There were no hidden costs, what we were quoted is what we paid. Our windows and siding are beautiful! We would recommend Bosteter Windows & Siding, Inc., to anyone, if they truly want quality windows done by efficiently professional people. They completed assessment of cost and measurements within a few days of our calling them. The estimate was a firm dollar amount and beat two other competitors. Our new Lindsay windows were in place within 8 – 10 hours of their starting time. We have received many compliments on our windows. 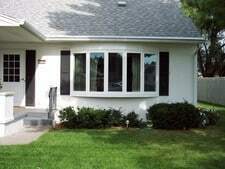 I am very pleased with the energy efficient windows which Bosteter Windows & Siding, Inc., installed. They offer a quality product at a reasonable price, and the workmanship during installation was excellent. In addition, they followed up promptly and courteously with any questions I had later.gab They have my recommendation for professional service. We would like to thank you for your recent work in replacing our windows. We are pleased not only with the quality of the windows, but especially the quality and care of installation…you were true to your word regarding that. I appreciate that you answered my many questions and concerns, especially regarding the replacement of the front windows. Those in particular came out better than I hoped. We look forward to their performance in the winter. It is extremely satisfying to find someone who takes pride in their work…which unfortunately, seems to be a rare thing these days. We will certainly spread the work about the fine job that you do. Bosteter Windows & Siding, Inc., worked very professionally on site and did an excellent job of replacing my windows, doors, and siding. The work was done in a very timely fashion and Derek and crew go above and beyond to ensure my satisfaction with the job. I highly recommend them. We say the way to transform your home or a porch like ours, call Derek! Choosing siding, windows, colors and all the other things that go along with a major remodel project can be overwhelming and at some points scary. Derek is very professional and knows his products well, what will work and what will not. He answered our concerns and made everything very enjoyable. He has a great team; they show up on time and the project finished on schedule. Our neighbors were impressed at how clean they kept the worksite everyday. We are so happy with our completed project…our favorite is our old shabby screened in porch which was transformed into our beautiful Winona room! Derek made this old porch into a wonderful area that is enjoyed by us daily. Derek also stands behind his workmanship and products. Should you have a problem he will be there to take care of it. "We are very happy and completely satisfied with the entire job Derek and his crew did on our home, from the first time he called on us to discuss our needs, to his return with estimates and time schedule of doing the job. Everything was done very professional, on time and complete. Each day everything was cleaned up and ready for the next day. We were so impressed with Derek when we first met him, we never thought of getting another bid. Like to do business locally. Definitely would recommend him, and have many compliments on our home." I was impressed with Derek from day one. I had called several other contractors to look at my project and either they never called back, didn't show up for the appointment or never sent me the estimate. Derek was prompt about returning calls, showed up on time and gave me a thorough demo of the windows. He asked me a lot of questions and answered mine. He gave me a date they would start, and then was able to start a day early. Derek and the guys did quality work and they were fast, neat, and cleaned up after themselves. I would hire them again in a heartbeat. Derek Bosteter was very professional and helpful from the first phone call until the job was completed. Derek spent hours with us even before we signed a contract. He explained everything and had many great suggestions. Our house needed so much work and we were overwhelmed, but Derek guided us through the entire process. We did windows, siding, and doors. His crew were all professional in appearance and demeanor and highly skilled. Other contractors wouldn't even call back. Loved him saying "the easiest thing you can do is call someone back". He even helped us coordinate a roofer. The workmanship was skilled, detailed and thorough. Everything Derek said would happen did happen. The estimate and timeline were accurate. Everyday they cleaned up at the end of the day. Derek has made it clear that we can contact him anytime if we have any concerns with the project. I recommend him highly. His work ethic is amazing. Derek and his team did a great job. 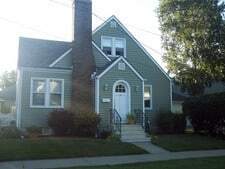 We had new windows, siding, and doors replaced on our home. Derek was straight forward with us about everything. Derek and his team were very professional. They went above and beyond to meet our needs. The job was done on time and done right. I get neighbors complementing us on how nice our home looks all the time now. I would recommend Bosteter Windows & Siding to anyone. We will use Derek and his team again in the future! Derek and his crew did a super job with our windows. They were very professional. Everything looked and fit great. They actually finished another job earlier than expected and were able to get to our project and get it done ahead of schedule. We would highly recommend them. Derek and his team were great! Very professional, courteous, and easy to work with. I appreciate that they took time to clean up thoroughly each night, which included picking up everything and sweeping out our garage each night. Our project was completed over Halloween, Derek took time to put up our porch light so we could have trick-or-treaters come to our front door. We would highly recommend them! Thank you for taking time to do such a great job! Thanks for the great job you and the boys did. You guys cleaned up every day and was here every morning on time. The work was done in a professional way and no corners were cut. You answered questions and also helped with my deck. I receive a lot of compliments and it will raise the equity in my house. No more painting! Thank you for everything! Derek was excellent to work with. He responded quickly to my initial call for an estimate along with answering any questions I had. 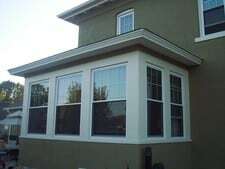 He thoroughly explained the window I was purchasing and the installation was very fast and done professionally. I highly recommend Derek for any window or siding needs you may have.